BEAVERTON, Ore. – Nike today introduced the Nike LunarGlide+, a new lightweight running shoe with an innovative mid-sole design architecture called Dynamic Support, a patent-pending system which adapts to a runner’s gait with each step, providing superior cushioning and as-needed stability. The Dynamic Support system breaks the myth that runners must compromise their needs by selecting between two industry-standard categories of Stability or Cushioning. In fact, most runners’ foot strikes will vary between neutral and over-pronation throughout the course of a run, impacted by fatigue and the running surface. The Nike LunarGlide+ is the first shoe to deliver lightweight, custom performance with both top-tier cushioning and stability. The Dynamic Support system in the Nike LunarGlide+ mid-sole is comprised of a lightweight LunarLite foam core that sits within a firmer foam carriage. The LunarLite foam core is cut to fit into the carriage at an angle creating a deeper cushioned lateral side. The medial side of the Nike LunarGlide+ mid-sole features a rear-foot wedge that has been contoured into the firmer foam carriage which provides stability on an as-needed basis. A neutral runner will not engage the wedge upon foot strike, but a runner who pronates, no matter to what degree, will engage the rear-foot wedge, receiving the stable platform they need upon foot strike. All runners will feel the deep, responsive cushioning of the LunarLite foam core. Nike first introduced LunarLite foam in the summer of 2008 in Beijing as the mid-sole cushioning system of the Nike LunaRacer and Nike Lunar Trainer running shoes and in the Nike Hyperdunk basketball shoe. Traditional cushioning systems only absorb energy upon impact while LunarLite foam has proven to provide superior cushioning and significant energy return. The Nike LunarGlide+ incorporates another Beijing innovation – Flywire technology. 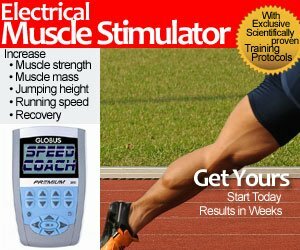 The integration of Flywire threads into the upper design of shoes from a variety of sports including running, basketball and tennis, has allowed designers to shed unprecedented amounts of weight without losing the necessary support and stability. The use of LunarLite foam in the mid-sole and Flywire threads in the upper allowed designers to create the men’s Nike LunarGlide+ at a mere 10.6 oz., while the women’s weighs just 8.6 oz. All runners are not created equal, particularly when looking at the differences between men and women. In addition to being built on a women’s last, the women’s Nike LunarGlide+ addresses the key physical differences, creating a truly women’s specific design. Women, on average, weigh 10 to 15 percent less than men, and therefore will have less mass compressing a shoe’s midsole. To account for this, the women’s Nike LunarGlide+ includes more soft foam under the heel than the men’s model, providing the softer cushioning women need. Women on average pronate more than men but the intuitive response of the Nike LunarGlide+ addresses varying stability needs for both genders. Women’s heels tend to vary in width more than men’s. The women’s Nike LunarGlide+ has a two-part, gender-specific external heel counter engineered to accommodate the higher variability in heel volume. By framing the heel instead of fully encompassing it, this unique heel counter balances a woman’s distinct needs for comfort, fit and support. Women tend to prefer a more supportive fit than men. The women’s Nike LunarGlide+ upper incorporates a medial-side Arch Strap teamed with Flywire technology to provide better lock-down in the mid-sole. Women tend to have broader forefeet which can lead to fit issues, abrasions to the skin, even bunions. Nike has applied its Dynamic Fit Technology, a stretchy material on the medial side of the women’s Nike LunarGlide+ adjacent to the big toe, which expands and telescopes out to accommodate the varying width of the female forefoot. The entire outsole features next generation Nike Natural Motion engineering– informed by the Nike Free line of shoes – to encourage a smooth, efficient stride. Soft yet strong microfiber synthetic overlays are ultrasonically welded in place for targeted support with seam-free comfort. A high-resilience foam sockliner with men’s and women’s-specific geometry creates a foot-bed with exceptional step-in feel and added support. 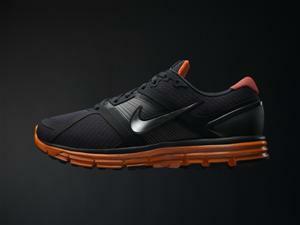 The Nike LunarGlide+ will be available globally beginning July 1, 2009. NIKE, Inc. based near Beaverton, Oregon, is the world’s leading designer, marketer and distributor of authentic athletic footwear, apparel, equipment and accessories for a wide variety of sports and fitness activities. Wholly owned Nike subsidiaries include Converse Inc., which designs, markets and distributes athletic footwear, apparel and accessories; Cole Haan, which designs, markets and distributes luxury shoes, handbags, accessories and coats; Umbro Ltd., a leading United Kingdom-based global football (soccer) brand; and Hurley International LLC, which designs, markets and distributes action sports and youth lifestyle footwear, apparel and accessories. For more information, visit www.nikebiz.com.